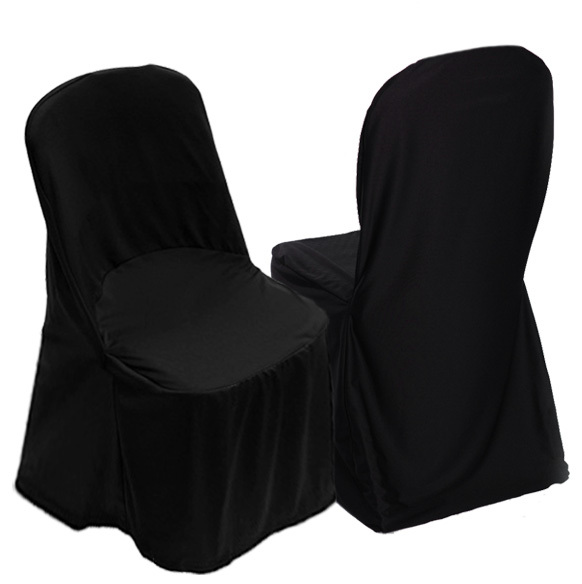 We are pleased to offer several styles of chair cover rentals for the Atlanta and surrounding areas. These covers are designed to fit over standard metal folding chairs. An excellent, affordable solution to dress up your reception. Available in white only. 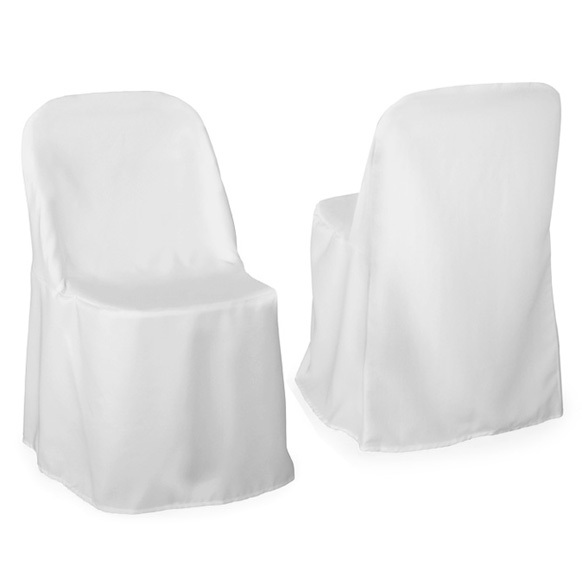 Universal chair covers are made to fit virtually any chair - standard metal folding chairs, padded banquet chairs, and a few other non-standard chair designs. Available in black only. 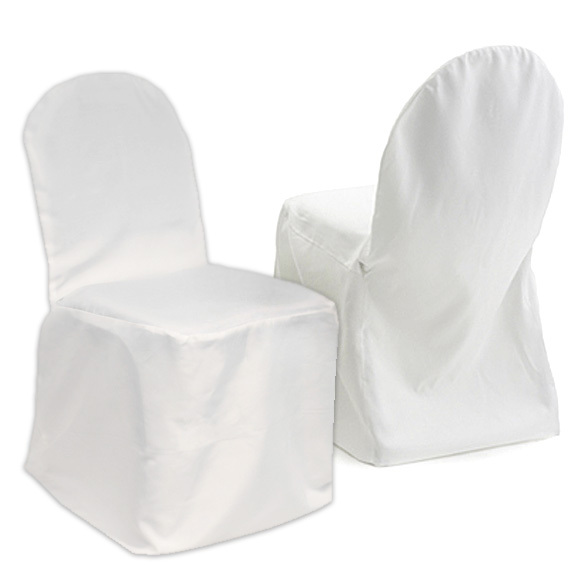 These chair covers are designed to fit over banquet style chairs (usually a metal frame with padded upholstered backs and seats). Available in white only. Add a sash in your event color to complete your look.